Facebook Analytics can give you important information if you use Facebook Insights for Domains.It sounds easy, but difficult to configure with Load Balancer. Forget about SEO people, they are basically semi literate peoples works like robots. Our work is to use them like manual workers. But these custom high level API based integrations are out of their reach. Just ask them three basic Newton’s laws of motion. 99% will fail to say the Third Law. The UNIX experts will not come to help you, so ultimately you have fix it. The reason for this guide to Facebook Analytics for Your Website is for the webmasters who are using Cloud Servers with Load Balancers as well as those who are using various Asynchronous codes, modified the crap default Facebook Like button code for purification label by W3C. You can see the meta property tag, copy it and add in your head, I mean your website’s header. Hitting the Get Insights will normally fetch the data. But it will throw error in case you have Load Balancers as well as those who are using various Asynchronous codes. There are many points. If you have SSL installed, it might throw error but the count will work properly. 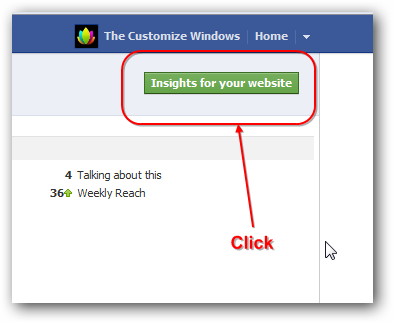 You can forget about Facebook Analytics for Your Website, because it might not work ever. There are points, Facebook has load balancers themselves. So if this debug tool shows nothing abnormal but main website shows error (that Facebook settings page), you will definitely get it working one day. The plugin or whatever is injecting that additional code. The sequence of parsing is interfering (sounds odd but its the fact for some reason), you might have to push the meta up. The last way is using fb:app_id instead of fb:admin meta tag. If nothing works, you have cross checked, try it in a sub domain with same load balancer settings. If it works, you have nothing to do. It is definite problem of Facebook. The parsing is failing for their bug. If in your side both do not work, you need to change the set of your load balancers IP. I changed my another website’s, it oddly worked. This Article Has Been Shared 2412 Times! Get Screenshot of Website or URL either on your PC, Mac, Linux or on your self hosted website or you just want to get a screenshot of an URL by an Online Tool. 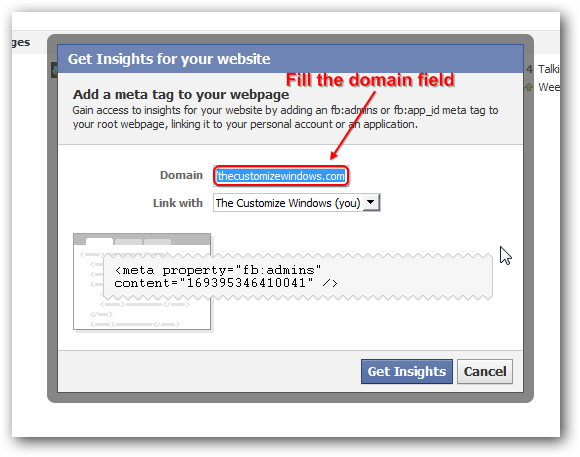 Cite this article as: Abhishek Ghosh, "Facebook Analytics for Your Website : Facebook Insights for Domains," in The Customize Windows, September 28, 2012, April 26, 2019, https://thecustomizewindows.com/2012/09/facebook-analytics-for-your-website-facebook-insights-for-domains/.